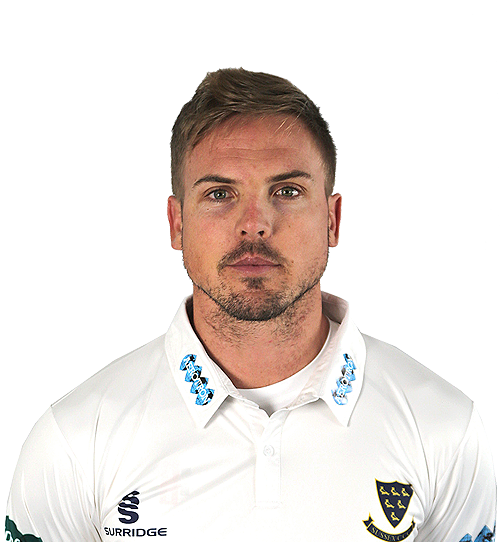 Stiaan van Zyl scored an unbeaten century to guide Sussex to their first Specsavers County Championship Division Two victory of the season, defeating Durham by six wickets at Emirates Riverside. Van Zyl continued his brilliant second innings knock, defying the hosts with a resilient performance before upping the ante. Laurie Evans did offer a chance in the morning session when he drilled a Chris Rushworth delivery straight to Jack Burnham at cover. A wicket could have exposed Sussex’s batting line-up to a nervy chase. But Burnham failed to grasp the opportunity, epitomising his side’s performance over the course of the match. Evans made the most of his second life, reaching 50 from 104 deliveries. Van Zyl then reached three figures with a nudge down to fine leg. Matt Salisbury removed Evans for 51 but Ben Brown knocked off the winning runs to guide Sussex over the line, capping a fine performance on the road from his side. Durham will be frustrated by the manner of their defeat, failing to capitalise on advantageous positions in the match. They reduced the visitors to 71-7 in their first innings following fine bowling from James Weighell and Rushworth. 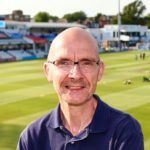 However, Wells, who played the innings of the match with an unbeaten 98, managed to add 131 runs for the final three wickets, bringing Sussex within 22 runs of Durham’s first-innings total. After losing quick wickets on the morning of day three, Durham appeared to be grinding out a solid partnership with Gareth Harte and Ned Eckersley at the crease. But, after scoring back-to-back boundaries, Eckersley smashed a delivery from medium-pacer Tom Haines straight at Evans. After losing Phil Salt and Haines, Wells and Van Zyl combined with a stand of 83 to see off the threat of the new ball and make significant inroads into the required total. Salisbury did give Durham brief hope when he dismissed Wells for 41. But Van Zyl continued to thwart the home side, reaching his fifty from 88 deliveries, while Evans provided a good foil at the other end to whittle down the target. Durham were almost handed a lifeline on the fourth day when Evans picked out Burnham at cover, only for the fielder to put down a simple chance. Sussex picked their moments to find the boundary and displayed the composure out in the middle. Van Zyl was the foundation of their success, reaching his first Championship century of the term from 149 deliveries. Evans fell with only one needed to break their stand of 112, but Brown was on hand to knock off the single required to confirm the win. Van Zyl was proud of his unbeaten 101, saying: “To get a hundred in the last innings on the last day, I’m very proud of it. “It’s a great win for us. I was out injured for a lot of last season and now to come back to get the win is very sweet. “The Leicestershire game was disappointing. We let ourselves down there. That’s why this win means a lot to us just to get that first win of the season. It’s crucial for any team. “Luke Wells saved up from 70-7 to get us back to only 22 behind – that was an unbelievable innings. “It was a cold four days but we knew that. To go through it and get a win was good for us and team morale. “We knew if we got a partnership going this morning to get the runs to win below 50 we would see the body language in the field go down, then we could capitalise.